Grizzly Bear brings jazzy comfort to their Indie rock show at the Riviera. The only decoration on Chicago’s Riviera Theater stage was a series of canvas lanterns, dripping tendrils of tissue paper while casting a soft, shadowy light. As Grizzly Bear’s concert went on, however, these same lanterns took on a variety of forms—while hanging low and in clusters, ghostly red light made them look like props on the set of a stage adaptation of Spirited Away. Pulled toward the top of the stage so that the cords could hang down and then supplemented with blue-green light, they turned into strange jellyfish. These lanterns, which could so thoroughly change and adapt with the simplest tactics, were oddly appropriate for the Brooklyn-based band, whose tour for their latest album Shields brought them to Chicago this past Sunday. 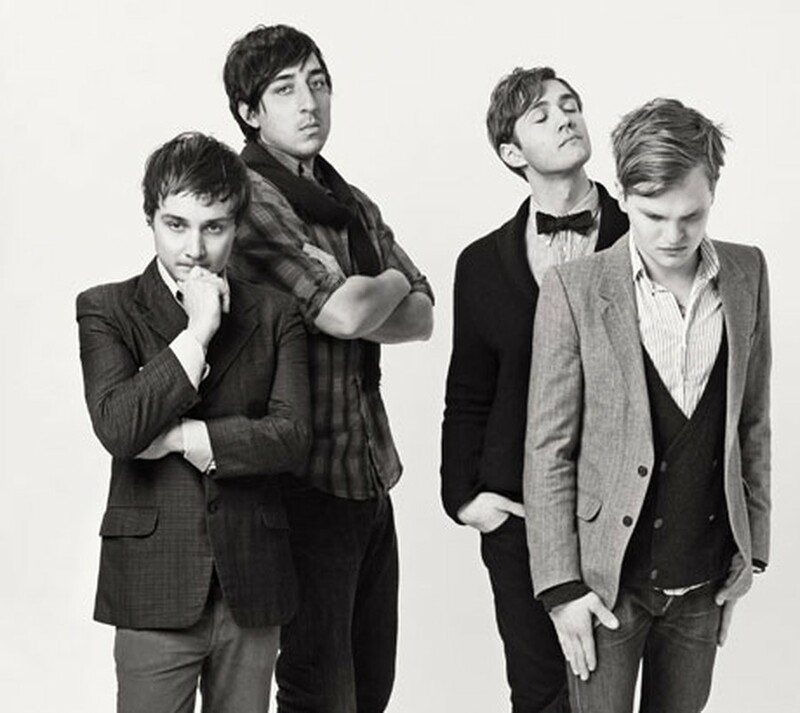 Grizzly Bear started out as a solo project by current lead singer Ed Droste and, since its 2004 inception, has been able to produce a striking array of sounds and moods in the context of a standard four-person indie rock quartet. Their last effort, Veckatimest, released in 2009, was full of lush, carefully arranged ballads, sometimes slightly melancholic but usually light and airy. Shields, however, just released mid-September, is much more earthy, the aggressive percussion in songs like “A Simple Answer” and “Gun-Shy” providing an obvious contrast to their previous works. Chris Bear clearly enjoyed the aggressive mood, reveling in his complex compound-time drum solos; appropriately, the sprightly Droste announced partway through that this was Bear’s hometown and that his grandmother was in attendance (the latter may have just been dry Sunday night humor). But it wasn’t just Bear who enjoyed himself. The whole troupe acted more like a jazz band or tight-knit chamber ensemble than a normal rock band, with every member but the drummer providing vocals; guitarist and singer Daniel Rossen even whistled at points, and bassist Chris Taylor exchanged extended duets with Droste. There was no one leading man, and for some parts of the concert this collaboration provided the most entertainment. Extended ballads like “Sun in Your Eyes” normally would be soporific on a Sunday evening, but here the visual joy of seeing close-knit, talented musicians work together with obvious delight cut through the slow pace of the music. The band played mostly songs from its new album, a fact remarked by not a few concertgoers who wanted a mix of more material. Of course, Grizzly Bear played those few songs from its repertoire it can’t end a concert without: Veckatimest’s bouncy “Two Weeks” was given a more or less orthodox performance, Rossen’s piano and Taylor’s xylophone pounding out the song’s signature repeated chords. But even then, Shields’s music took the spotlight, the audience’s ears so accustomed to its heavier sound that “Two Weeks”’s xylophone seemed out of place. The band came out for an obligatory encore after less than 10 minutes. But when the members came back onstage, they picked up more than just their previous instruments. Taylor produced a saxophone and flute, among other instruments, and what sounded (and looked) like an extended jazz improvisation session ensued. Later, Rossen joined Droste in a duet for a haunting rendition of Veckatimest’s “All We Ask.” Grizzly Bear realized it couldn’t rouse a Sunday night crowd to head-banging status, but instead of trying, it gave the audience a hypnotizing display of immense talent and musicianship, much like a Sunday trip to the symphony. Perhaps it was a concert Chris Bear would have taken his grandmother to after all.